The following comes from an email a friend sent yesterday. It resonated with me, and I hope it does the same for you on this day of rest and recovery. Here’s a video of my favorite gratitude song! 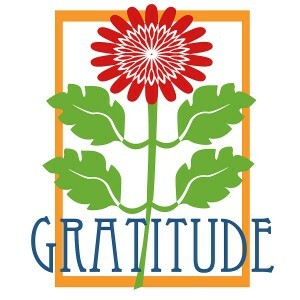 For whom and what am I grateful today? Why am I grateful for these people, situations, and things? How do they reflect God’s presence in my life? For whom and what have I often forgotten to be grateful? Are there any gifts that I take for granted? How can I commit to honor these gifts each day, not solely on Thanksgiving? Would I like to keep a gratitude journal? Would I like to write letters of thanks to those who support me? Would l like to share my abundant blessings with others-through acts of service or donation of goods? Would I like to pray each day in gratitude for these blessings? I pray that I can acknowledge the reflections of God’s love that are present in my life today and every day. Close with this poem by Edward Hays, which inspires us to find fulfillment in the present moment. for I wish to learn the virtue of contentment. an at-homeness with your amber riches. which are the true source of joy. may I truly appreciate this autumn day. How will you live that out every day?